Semiotics offers a systematic approach to analysing the stylistic structure of film. When this study was originally published in 1983 this was a recent addition to the methods of film study and it presents an explanation of film semiotics with direct application to comparative film research. It takes as its representative subject one trilogy of films and applies semiology, with careful textual analysis. 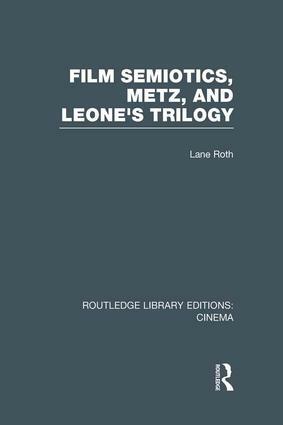 The book begins with a basic introduction to semiotics and the ideas of Christian Metz on cinesemiotics. It then presents a syntagmatic analysis of each of the three Dollars films, with an outline of autonomous segments for each and a discussion of the findings before undertaking a wider analysis of the trilogy as a whole with commentary on the stylistic unity of the director’s work. This book, an enduring detailed study of these three films, also outlines clearly this method of classifying the formal structuring codes of film communication.